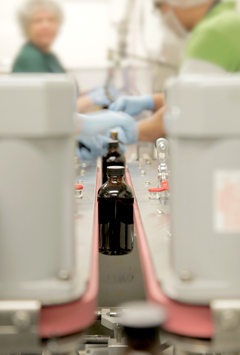 Our first path is offering our standard contract manufacturing services where you can submit your formulation for review and quotation. Our second path, which is commonly chosen, is requesting the research and development input from our Contract Research Organization (CRO) group. (research and development). This unit of ABS Corporation is responsible for engaging clients and helping them create unique designs, new formulations, and/or formulation enhancements to give your group additional intellectual property. Our research & development team has the knowledge and experience to assist our customers through every step of the product development process. We can provide the people, capabilities, and facilities to solve virtually any technical challenge across a range of industry segments. The breadth of our technical expertise enables us to utilize technologies developed in one area to solve customer challenges in other areas. A great example of this is using our expertise in animal nutrition and forming solutions suitable for human nutrition. We utilize aronia and cranberry in both human products and animal products for anthocyanins and other types of polyphenols from natural antioxidant sources.